Hey beautifuls!! I often like to make my own stuffs like foot scrubs or body scrubs. 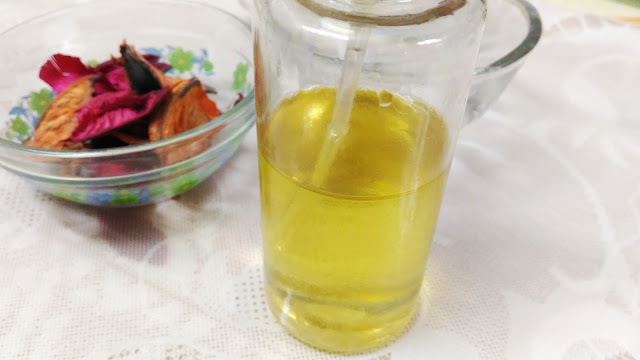 So, this time when my favourite Makeup Cleansing oil got over, I thought of making one by myself. And believe me it is so easy to make and all you need are 3 products. In a bowl take equal quantities of olive oil and coconut oil and mix with a stirrer. 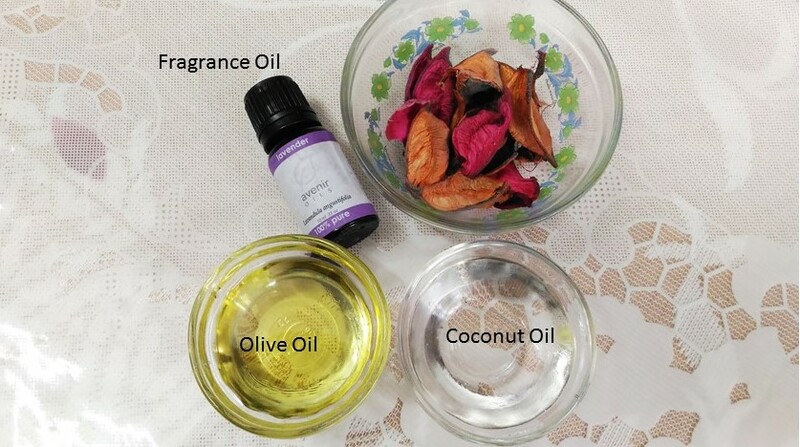 Both the oils have their own distinct smell which may not be great for daily use. 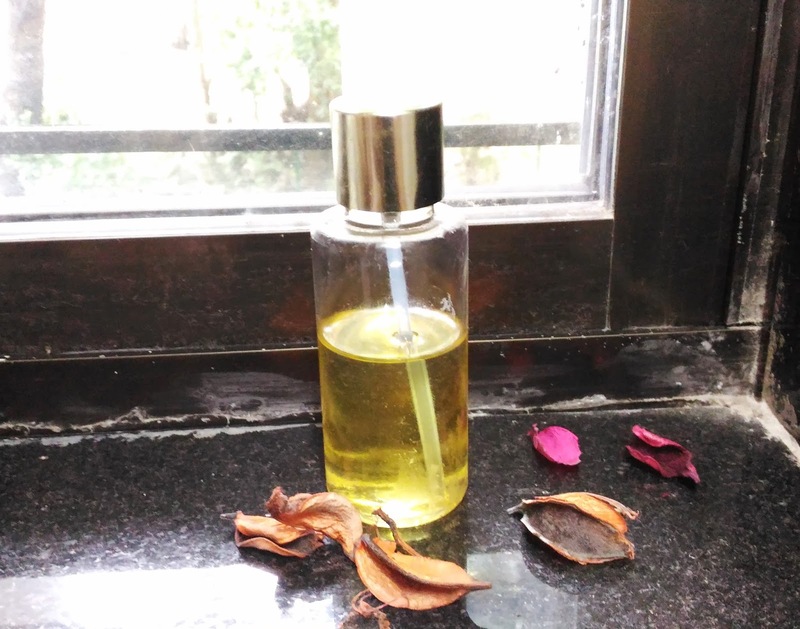 So, it is advisable to add few drops of fragrant oil to give your cleansing oil a great fragrance. I love the smell of lavender and so used a lavender oil. You can use your own favourite like vanilla, orange, rose, peppermint. You can even store your Makeup Cleansing oil in a fresh and clean container. Bottles with pump dispenser will be great and easy to use. And Voila!! 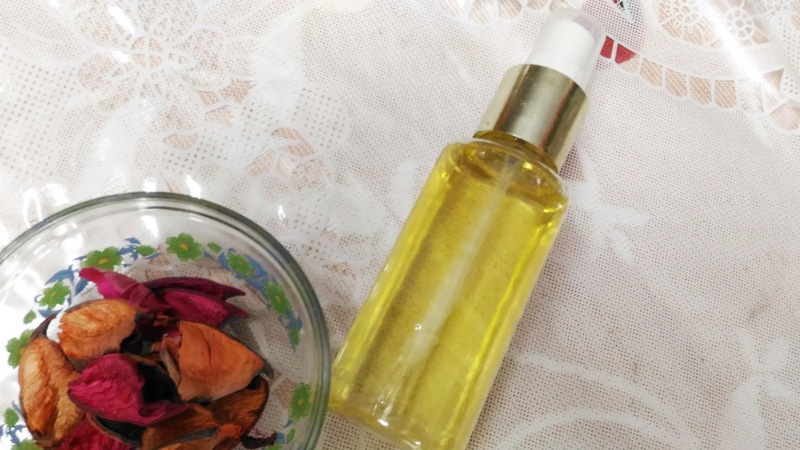 Your DIY Makeup Cleansing Oil is ready. It is as effective as your high end makeup cleansing oils. Not only does it remove makeup easily, but also leaves the skin soft and nourished. Olive oil nourishes the skin, coconut oil brightens it and lavender oil is a natural soother. To know more about coconut oil's benefits visit here You do not have to worry about any side effects as there is no harsh chemicals in your Cleansing oil. It is made by you and is 100% safe to use.